A few weeks back, Nintendo announced the surprise Labo VR, a homemade VR kit that puts a Switch in a cardboard visor and allows it to act as a headset. 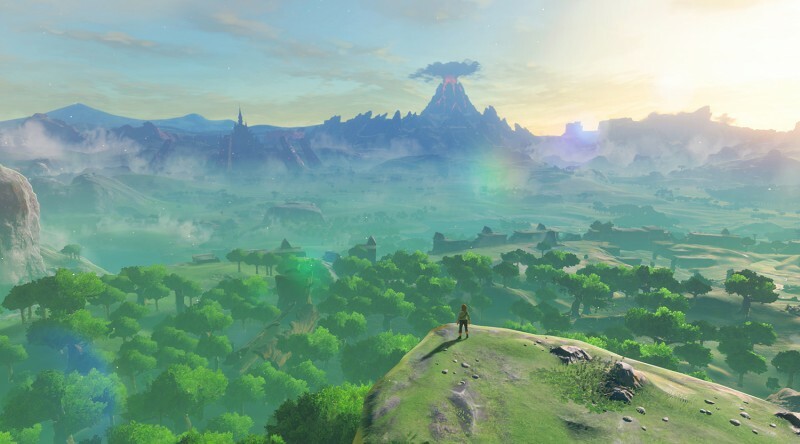 While Nintendo’s been fairly quiet about it since announcement, especially considering it comes out in just a matter of weeks, they have just announced that traditional games will also support VR modes; namely, Super Mario Odyssey and The Legend of Zelda: Breath of the Wild. While the trailer is a little unclear, it appears Super Mario Odyssey is just some VR modes and minigames, like note collection. With the seeming lack of a headstrap, Nintendo clearly doesn’t want players spending too long inside the cardboard VR world. Zelda, however…it is not obvious how that game is supporting VR. It seems to just be a visor for the actual gameplay that relegates camera control to head movement. Considering how VR works, by splitting the image so each eye can view two separate images as one 3D picture, it stands to reason that not every game will be able to support VR just through pure horsepower considerations. Attaching Labo to existing games is not a new idea, however, as controllers have gone back to support Mario Kart 8 Deluxe in the past. Still, it will be interesting to see if Nintendo does this with any other titles. I think Captain Toad in VR could be pretty neat.